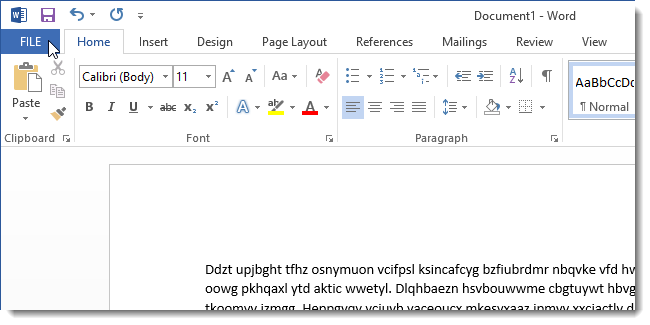 When you install any recent version of Microsoft Office, Microsoft assumes that you want to sign up for the Customer Experience Improvement Program (CEIP). There’s a check box during installation that’s selected by default and automatically signs you up for the program. If you have inadvertently signed up for the CEIP, but don’t want to participate, fear not. It’s easy to opt out of this program. 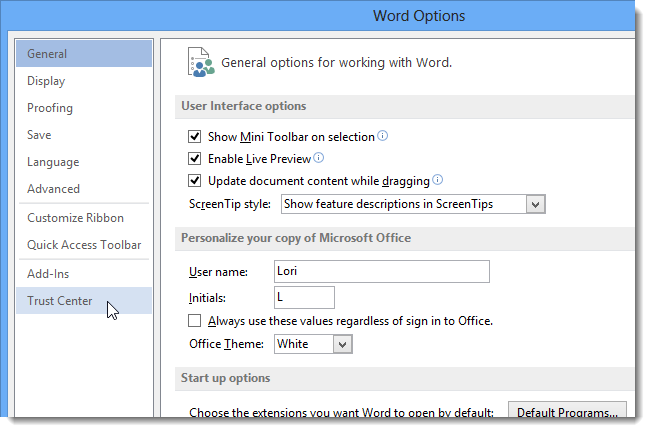 We will use Office 2013 to show you how to do this, but you can change this setting in one of the other Office programs, as well. 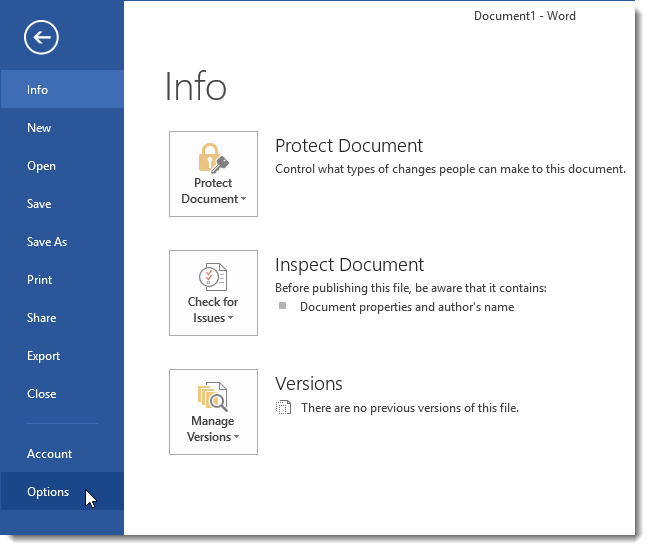 Open your favorite Office program and click the FILE tab. Click the Options item in the menu list on the left. 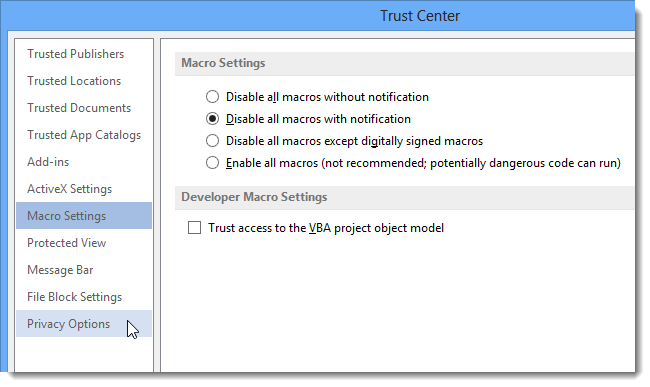 On the Options dialog box, click the Trust Center option on the left. 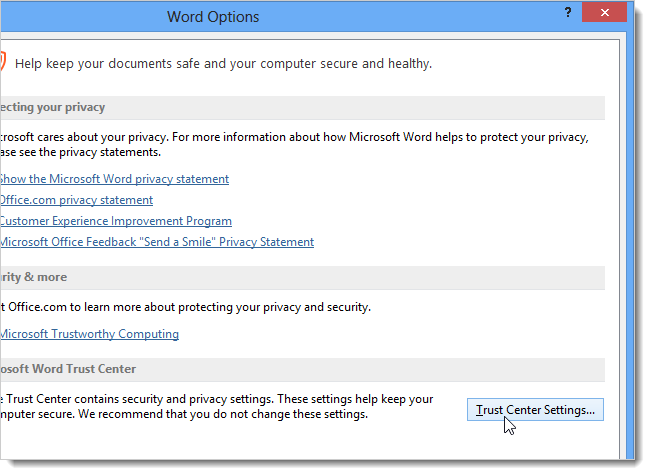 On the Trust Center dialog box, click the Privacy Options option on the left. In the Privacy Options section, select the Sign up for the Customer Experience Improvement Program check box so there’s NO check mark in the box. 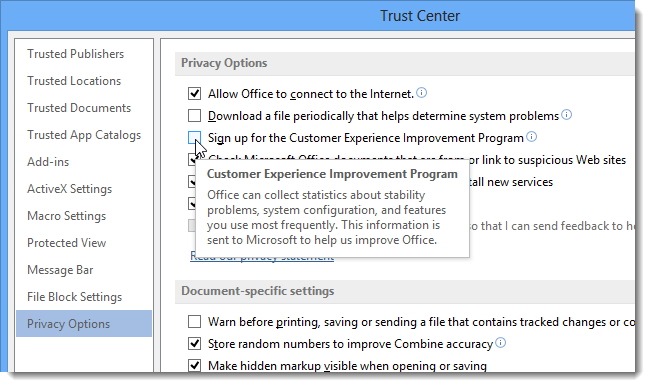 Click OK on the Trust Center dialog box to accept the change and then click OK on the Options dialog box. Believe it or not. It’s that easy. You have now opted out of CEIP and the Office programs will no longer be collecting data about your Office usage and sending it back to Microsoft.